Going on vacation with an RV is already a big adventure, but having a home theater in it is a wonderful experience you’ll live to remember. However, space in the RV is almost always scarce. RV Home Theater is a must if you want to take your camping experience to an entirely different level. It doesn’t matter whether you’re using a Motorhome, or a large recreational vehicle, as long as you understand your needs and how to set up your system, you’ll be enjoying the best of entertainment in movies, music, and other favorite series. 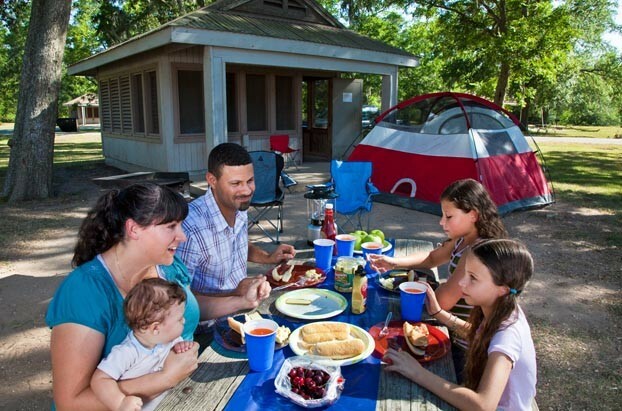 The extensive equipment of modern camping vehicles needs space and RV travelers expect comfort. The right RV size depends heavily on your needs. Before looking at how to install home theater we will find some clues for choosing the right sized RV. The minimum size of your RV: This is the size at which you can legally transport the planned number of people including luggage. The maximum size of your RV, taking into account the required everyday practicality, the winter shelter, the planned travel destinations and available driving licenses. How much storage space and payload you need to be able to carry as well as your entire luggage. Families need more space than single travelers and couples. Even athletes with extensive equipment place more emphasis on hold than bathing tourists. If you are traveling in cold or bad weather, you need more space to stay in your RV. Fair weather travelers can do with less space, as in good weather, the life takes place in front of the camper. Long-term travelers who travel for several months also need more space than holiday travelers who are happy with a compromise for two weeks. Smaller campers are chosen by those who do not expect much comfort but do not want to accept any restrictions in terms of route choice and destinations. A compact size is often chosen even if the camper is to be a flexible, everyday use vehicle. The question of the size of an RV is about finding the best compromise between practicalities, flexibility, and inconspicuousness on the one hand and space, comfort and storage space on the other. What your RV maximum size is. Think here also of the everyday benefits as well as the winter shelter. If you are traveling with your family, you are naturally looking for a larger RV than couples or solo travelers. As usual, exceptions confirm the rule: travel by four is also possible in the VW bus, but with restrictions. The longer the trips are the more comfort should be available. Anyone who is on the road for months, therefore, puts more value on a large RV than pure holiday camper. Campers can also choose larger campers than campers who want to reach remote mountain villages or beaches on narrow streets. Basically, most RVs drive like big cars – for normal motorists no problem. The engines are now consistently good and allow a swim in traffic. A little overview is required for bottlenecks and underpasses, with a little practice no problem. With a standard class B driving license, you must confine yourself to an RV of the 3.5t class. If you want to drive a heavier RV, firstly you need the right driver’s license, and above all, you have to live with various restrictions (toll, maximum speed, driving bans). The length of the RV decisively determines how maneuverable the mobile is and where you can park it. Up to 6m in length, you often still fit on car parking (the versions with 5m40 have it even easier). It gets harder. You will also pay more on ferries. But of course, there is more space in a longer motorhome. Higher mobile homes allow more headroom or the installation of larger wall cabinets, a double floor or loft beds. Of course, the altitude also has disadvantages: underpasses cannot always be passed by high mobile homes. The higher wind resistance leads to increased consumption. Crosswind susceptibility is increased, ferry costs as well, and not all towing companies can tow any vehicles high. The wider the RV, the more space there is inside, which has a positive effect on the sense of space. On the other hand, the width also limits when it comes to narrow mountain roads or village crossings. Vans are usually the narrowest RVs due to the original sheet metal clothing of the base vehicle with a width of about 2 meters. VI/TI/alcoves can be much wider, but today manufacturers also offer all variants. For example, many manufacturers offer so-called “vans” that confusingly do not mean panel vans, but particularly narrow-cut semi-integrated. Here you have to weigh whether you prefer space and comfort, or easier navigation through narrow streets. The more people you take with you, the more space you need. After all, everyone wants to take their personal belongings, clothes and possibly sports equipment. The number of required sleeping places? Do you need space for pets and pet accessories? Not always sit and sleep places in the RV. If you drive to the campsite and send the children to sleep in the tent, you do not necessarily need to sleep. But for travel campers (and generally in bad weather), it is no harm, if all fellow travelers can sleep in the camper. Also, try to estimate the weight of the passengers! Also, it does not hurt to think about whether your partner/family is as excited as you about the idea of camping? Do you have any ideas about the ideal holiday, or are you facing compromises? What must these compromises look like? The space in the RV and the possible payload is often consumed quickly. You should therefore know in advance how much space you need and how much your luggage (including clothing, toiletries, food, dishes, laptops, outdoor furniture, etc.) will weigh. If possible, also estimate the weight of your required luggage. You can use our free of charge. Many RVs drive overloaded, as they just do not provide enough payload. Regardless of the size of your RV, you should also look at how the storage space is organized. Drawers or shelves with shelves are not only different in price; drawers are also very practical in the cramped space of a mobile home. The storage space must also match the device to be transported. A surfboard cannot be folded, so a large storage space does not help if the storage space does not fit. In an emergency, you can think about storage space extensions (bike rack, roof rack, and trailer). Learn where to start, the configuration you need, and how to choose your device to get the best sound in your budget. Home theater systems can infuse magic and passion for video entertainment. Our guide will assist you in planning your system for deployment in your RV and provide tips on selecting the type of system you need, speakers, audio electronics and TV. In addition, we will introduce many entertainment sources and characteristics of each entertainment source. Discover the many options available for your home theater audio system. Single home theater system: Usually five surround speakers, a subwoofer, and a DVD player/amplifier. Sold as a whole packaged in a box (hence its name). Includes all wiring. Bar: A long, thin bar-shaped device containing multiple speaker drivers. Many of these models include independent (and often wireless) subwoofers. Component Systems: Audio/Video (A/V) receivers, speakers, and all source components (eg, DVD players). Component Separation System: Replace the receiver with a component system of a split preamplifier/processor and power amplifier. Audio contributes 50% to the cinema experience. This is why your sound system and room acoustics are just as important as your TV. Good two-channel stereo creates a holographic space, but all the sound effects are presented in front of you. Traditional 5.1 and 7.1 channel surround sound can further immerse you in the plot on the screen. Typical surround sound settings use 5.1 or 7.1 channels. 5.1 The system is equipped with front left, right and center speakers and left and right surround speakers. 7.1 The system is equipped with rear left and right surrounds back speakers in addition to the above speakers. “.1” in this type of indication designates a subwoofer that is used to achieve the lowest bass. Learn how to enjoy more entertainment through home theater. Online resources are the richest and fastest-growing sources of video and audio. By connecting your home theater to the Internet, you can almost always find any resource that you provide in some form through CD or TV. In addition, you can access almost inexhaustible resources online. Currently, Advanced Streaming Service is the only source of native UHD 4K content. First, you need to get a broadband connection from your internet provider. The connection should provide a constant video download speed of at least 1 to 2 megabits per second (Mbps), high-definition video download speed of 5 Mbps, and Ultra HD video download speed of 25 Mbps. These are the lowest values: Keep in mind that anyone else who is online in the house (for example) will also use the available download speed. If you have a home theater installation but no component can connect to the Internet, you can add a dedicated streaming media player (also known as a DMA or digital media adapter). Some streaming services also come with a dedicated adapter. Not all adapters support Dolby AudioTM technology; check the specifications before purchasing. All DMAs require AC power, most of which also include external power supplies that must be plugged into AC wall outlets. The DMA box connects the Internet directly to your home network via Ethernet via a broadband modem, router or Wi-Fi. DMA sticks rely on Wi-Fi. Connect the Internet directly to your home network via a broadband modem or router. You have the final say. It may be online content. The mainstream streaming service can provide movies, television programs, homemade videos, sports programs, etc. In general, you will find that such services are called OTT services because they rely on ISP bandwidth (and are considered data). With the portal built into the connected components, you can access these services and see the relevant logo on the TV screen. Not all components are available for all services, so please check the manufacturer’s spec sheet before purchasing. In addition, some components are more ideal audio centers. We recommend using a Blu-ray Disc player and/or a standalone DMA. With this type of device, you can connect directly to the audio system and use the screen access and navigation functions effectively. With a few exceptions, the TV itself is not an ideal multi-channel audio center. Since the sound must be redirected back to the home theater system (Advanced Surround Sound System is not yet available), the effect may be unpredictable. Here are the aspects you will look at when selecting the display. Nowadays, television technology is changing every day, and the terms used to describe them are both overlapping and very mixed. Here is an overview of its basics. In general, you will first buy a flat-panel TV or front projector. At present, flat panel displays have completely occupied the independent TV market, but the purchase of such products is more tedious. Just look at the TV advertisements that are currently overwhelming, and you will hear many terms such as LED, Full HD, 4K Ultra HD, Smart TV, Curved Screen, and OLED. Not only that, such terms do not yet include the unique name each manufacturer makes for this type of functionality (usually similar features use different terms). Next, we will introduce some of today’s and future mainstream technologies one by one, and explain these terms and their relationship with excellent home theater. There are four basic types of flat panel displays: liquid crystal displays (LCDs), Plasmas, organic light emitting diodes (OLEDs), and quantum dots. At present, LCD monitors occupy the mainstream, but there are also some excellent plasma products. OLEDs and Quantum-dot TVs are the latest technologies, and currently only a few models are available. All the above technologies can provide you with superior picture quality. Curved-screen TVs are flat-panel displays that are used to achieve surround-theater effects. From a more accurate point of view, light-emitting diode (LED) televisions should be called LCD-LED TVs. This type of display is an LCD display that uses LEDs for backlighting. Some low-cost TVs still use cold cathode fluorescent lamp (CCFL) backlights, and LED backlights can make the design thinner and lighter, while at the same time-saving energy and achieving better picture quality. Quantum-dot TVs also belong to LCD TVs. As a kind of backlight component, quantum dots can achieve richer colors and superior contrast in addition to their inherent advantages. At present, many mainstream manufacturers use this technology in several of their more high-end TV models. Quantum dot technology has great potential for design performance far beyond current television displays. The number of such displays is expected to grow rapidly. OLED TV is an upstart in the market, and its first models are highly rated in terms of picture quality. This type of display is extremely thin and light, and since the OLED can emit light by itself, there is no need for a backlight device. At present, the optional models and sizes of such TVs are very limited and expensive. Curved screen televisions are designed to achieve wraparound effects. The technology used is not new. However, attention has been continuously rising for 4K ultra high definition televisions (referred to as UHD, UHD 4K or 4K TVs), which can provide four times the resolution of full HD. The 1080p monitor has a resolution of 1920 × 1080 pixels. Ultra HD 4K displays have resolutions of up to 3840 × 2160 pixels (2160p monitors when used in this nomenclature). The minimum resolution of HD (High Definition) is 720p, which are 1280 × 720 pixels. What kind of TV is purchased? The larger the size of the TV, the higher the importance of the resolution. For 40-inch TVs, 1080p and Ultra HD screens may look the same when viewed from 10 feet away. However, if the screen size is increased to 65 inches in the same space, the higher resolution is more popular. Please keep in mind that, for the time being, the Ultra HD standard has not yet settled, and not all Ultra HD TVs can play any Ultra HD content. In fact, in terms of true ultra-high definition, it only involves streaming services and services supported by specific televisions. This situation will soon change. Once the Ultra HDTV standard is determined, Ultra HDTV will be as universally compatible as the current 1080p TV. In addition, future Blu-ray standards will also incorporate Ultra HD. Ultra HDTVs can upsample 1080p programs; in other words, such TVs can convert TV programs to higher UHD resolutions, and such conversions usually produce excellent results, although this effect is not yet comparable to native ultra The HD (its effect is somewhat unpredictable) compares. Consider the size of the auditorium and then determine the maximum setting for comfortable viewing. The most popular home theater flat panel displays are 37 inches to 85 inches or more in size. If the monitor is larger, a front projector is required. The ideal viewing distance recommended by many experts is about 2.5 times the screen size. For example, for a 60-inch screen, the viewing distance should be approximately 12.5 feet. Do not sit too close. If you can see individual pixels, it’s too close. The only and preferred alternative for flat panel displays is the front projector. Projectors, screens, and professional installations will result in expensive front projections. At present, almost all higher-end TVs are “smart” TVs. This TV can be directly connected via Ethernet or Wi-FiTM (usually both networks can be connected). This type of television provides a portal for direct access to numerous streaming services as well as regular Internet access. Smart TVs can be used as a complete home entertainment center. The features of smart TVs are constantly being introduced, including voice recognition, program recommendations, and more. For more information, check the manufacturer’s website and related documentation. Learn about RV sound effects, cables, furniture, brackets, and accessories. Room sound effects may have as much impact on your sound as the component you choose, and the RV layout you choose for your home theater will affect the acoustics. If the RV has special wood floors, try putting some rugs in front of the speakers. Wear curtains when watching or listening. Use bookshelf (with books) to help suppress reflections. Make sure that the line of sight from the speaker to the listening seat is unobstructed. Balance hard surfaces and soft surfaces; for example, use hard carpeted floors to compensate for hard ceilings. Place the front speakers in an RV farther than the TV. Further, test the arrangement of the speakers. Consider a dedicated RV adaptor, such as a wall diffuser and bass absorber. Although most seem to be insignificant, they will have a wonderful effect on your sound. In the end, it is important to understand that you will always have to look at both the current configuration of your RV and the ideal scenario that you would like to have. It is with these parameters in mind that you will probably find a joint solution that will respect both what you work with, what you want and the budget you have. Without question, it is always useful to look at what is done online by others in terms of documentation.